It can’t get any easier. Of course I already have a recipe for Banana Pancakes, which I still make and love. However, you can’t beat the simplicity of this recipe. Quick to throw together and great for little ones (especially babies). 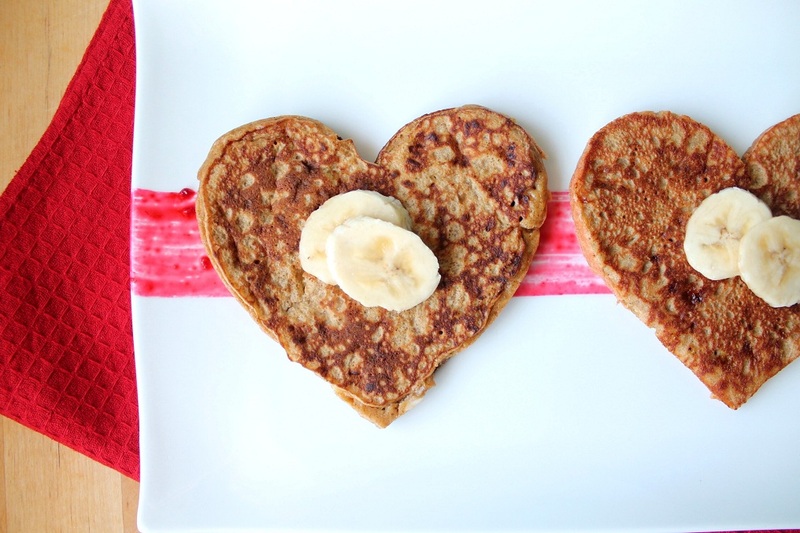 To make these heart shaped pancakes, all you need are metal cookie cutters (not plastic!). If that is all you have, then cook the pancakes like normal and use the plastic cutters to create heart shapes in the cooked pancakes. Be sure to check back soon, I’ll be sharing my Molten Chocolate Lava Cake recipe and other romantic dinner ideas! Thank you for this recipe. These look delicious! Looks super yummy! The fact that it only takes 3-4 ingredients to make – makes it even better. Thank you for the recipe! I will definitely try it out. Just wondering…this pancake recipe…how many pancakes will they make or maybe a better question would be how many people would they serve? If I were making just pancakes and sausage, how many times would I need to multiply the recipe? And, if I am making them as part of a larger breakfast, with just 2 or 3 of these per person (because I’m thinking they are smaller. Is this correct? ), how much would I need to make. I would also like to have the same questions for your other recipe for Banana Pancakes. These are super easy and super yummy!!!!!! I think I ended up making about 4-5 medium size pancakes. I made these pancakes this morning and they turned out better than expected! I’m new to the GF community and wasn’t sure how the texture would be when they were finished. They turned out great. (I added a handful of chocolate chips to mine to sweeten it up a bit more!! I might try to add a little cocoa powder next time.) I made them relatively on the small to medium side and it made ten pancakes. I’m going to try to freeze my left overs and see how they turn out tomorrow morning when I reheat one in the microwave or toaster. Thanks for the recipe! I made these this morning and they turned out great! I’m new to the gluten free world, so I wasn’t sure what to expect, I was really happy with how they came out. I think my bananas could have been a little more ripe though. I added a handful of chocolate chips to mine, a little chocolate in the morning never hurt anyone! (next time I might add a little cocoa powder) I made mine on the small to medium side and had ten when I was finished. I ate two with a cup of coffee and was comfortably full. I am going to freeze the few that I have left over and see how they turn out tomorrow morning when I reheat one in the microwave or toaster. Thanks for the recipe! These are delicious! I love using up old bananas this way. Thanks for this great recipe! I have made these a couple times already for my kids using different nut butters to mix it up (peanut, sunflower seed, and almond butter have all been tasty!) The last time I made them I added a little coconut flour to thicken up the batter just a bit. It was good and made them a little dryer in the middle, which my kids like. Delicious! Try cooking them at a lower temperature. It will give the inside a chance to catch up to the outside. 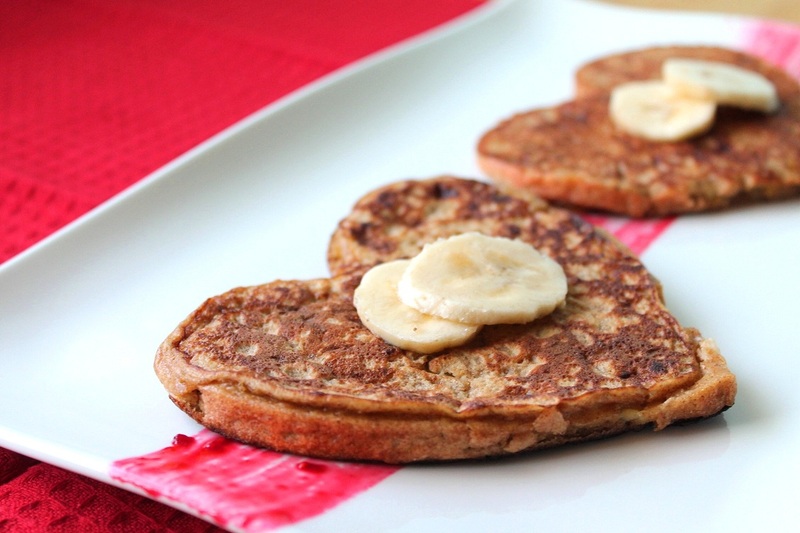 Love bananas, love pancakes… What could be better, then, than banana pancakes? Thanks for the recipe! I love this idea. I wanted to make mine vegan which could have been done a few ways but I reluctantly (thinking it wouldn’t work right) substituted the egg for 1/4 cup of apple sauce. I worked beautifully!!! I also added some chocolate chips, but that’s beside the point. I’ve been searching for a GF and Vegan pancake recipe and now I’ve found the easiest way to do it. It’s on my blog now and I added a link to yours. Cheers. Amazing recipe! Just wondering, is there anything else you can substitute in for the bananas that is lower in sugar? Thank you! Thank you so very much!!! I had 4 hungry (and picky) little girls today ages 14 months to 5 years old and had no idea what to feed them. I found this recipe and they loved it. My oldest who is 5 told me “Mommy this is a make again!” That is the highest praise there is for food in our house. Again thank you!! 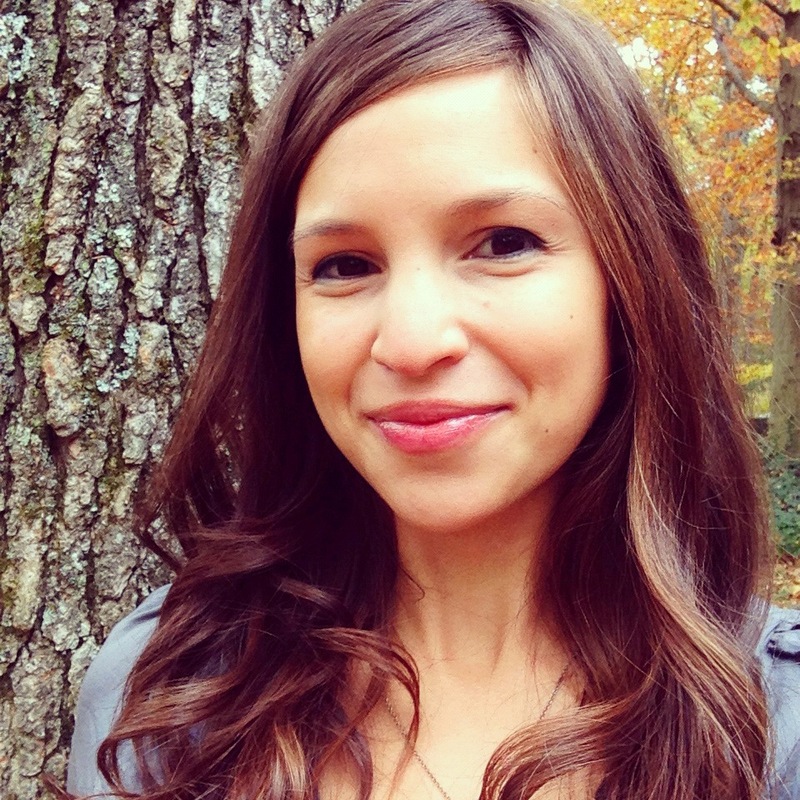 Brilliant site Michelle and some wonderful Gluten Free recipes and advice!! I’m a mum and a wife of Coeliacs so i’m always looking for new exciting recipes! I saw this recipe earlier this year and now I make them all the time. They’re surprisingly delicious! If you cannot eat eggs, what do you recommend? Wow, i am going to make them now ;) They look awesome! sorry but, do you still need flour for these pancakes? just wondering…. I’ve never made anything gluten free. These are AMAZING! My picky boyfriend even loved them! hi there, thanks for this simple pancake recipe. My mom makes pancake in a different way and i was searching for an alternative. Mom makes pancake by mixing milk,egg & sugar well and then pour into the pan. Flip over to cook both sides. I cannot get the pancakes to flip properly. They stay all mushy…what can i do? I actually tried this and my peanut butter was very runny because it’s natural without any added fillers. So I actually added some almond meal I had left over from making almond milk to make the batter thicker. I would imagine any kind of gluten free flour would work. Maybe use less banana would work too. Has anyone tried this with just egg whites instead of full eggs, or are the yolks necessary for consistency? Just found your blog and love this recipe (in addition to others you have here!). I have a blog about tips for a good and healthy lifestyle and would love to share some of your recipes, with credit and a link to your blog, of course. Please let me know if that is okay with you. Thanks! You can absolutely share my recipes. Thank you for asking! I made your pancakes today and they are SO good! I love food that doesn’t taste like it was made especially to follow a diet. What you have here are just good pancakes. Next I’ll have to try making them vegan, too. I made them with almond butter and that kind of gave them a grainy texture, almost as if I’d used whole grain flour, which just added to the general awesomeness of these pancakes! This is an amazing pancake recipe! My boyfriend and I have made them 3 times this week, I absolutely love them. Thank you so much for posting. I highly recommend trying, so simple and so good. do u eat 2 per serving? Thanks so much for sharing this recipe. I reposted it on my blog too. Love your blog and all the cooking inspiration you give me! Just made these and they are delicious! So glad to have found this website. We will be eating healthy & delicious food, great b/c kids also want to help make (and eat) them! Million thanks!!!! So easy to make and looks like a good breakfast after a vigorous morning workout. I’ll be trying this one with the kids soon, thanks. This is a good recipe my boyfriend doesn’t like bananas but he like these! At first he said they were to flat and not fluffy like pancakes should be so I added rice flour and then after I made one I added a dash of milk to see if either one of them made it more fluffy and he really liked the one with just the tbl of rice flour……. Thanks I will make these again! Hey! Just wondering, does anyone know if you can prepare the batter ahead of time (for example, I will make the batter tonight) refrigerate, and use it in the morning? Thanks, I made this today…..DELISH!! These look delicious! Can’t wait to try them this weekend! God that looks so yummy. I’m making these on NYE! What are the carbs and calories? I’ve just lost 40 lbs. and am trying to find recipes that will help me sustain this loss. Taste great!! Thank you for the recipe!! I’ve been gluten free for over a year now and finding gluten free recipes like this one, always puts a smile on my face :) I can’t wait to try it at home, they look so yummy, I am sure that my kids will love it as well. Hi! This is very simple and easy to make but i’m wondering what can i substitute for peanut butter? My daughter is allergic to nut and she doesn’t want to try the other options out there. Thank you! I have a problem! So every time I make banana pancakes (usually all I do is 2 bananas one egg and blend with some cinnamon) they always turn out soggy or wrong! Any advice on how to make the pancakes look like this – fluffy and yummy?